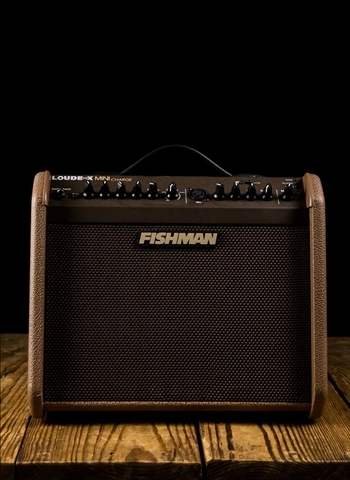 Finding the right acoustic guitar amp to complete your favorite acoustic guitar is not always an easy task. 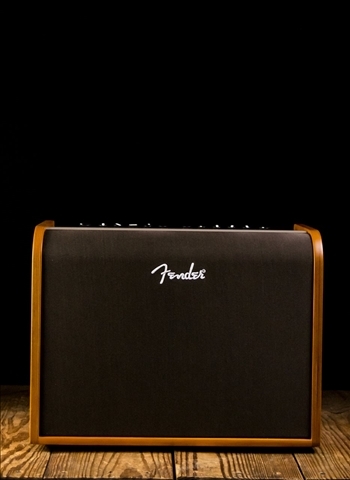 Acoustic are guitars are almost always purchased for their beloved natural acoustic sound so finding an amp that recreates that sound electronically can be really tough to do. 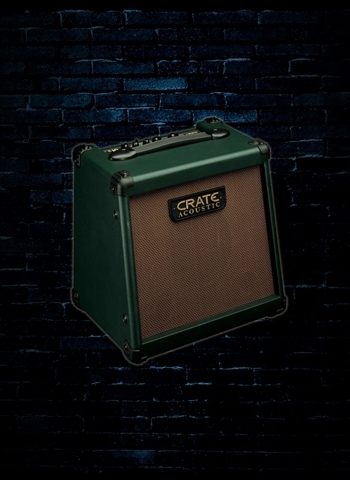 At N Stuff Music we carry an array of acoustic guitar amps meant to help you find that amp that perfectly matches your acoustic guitar so that you can hear its wonderful tone through an amplifier for stage performance. 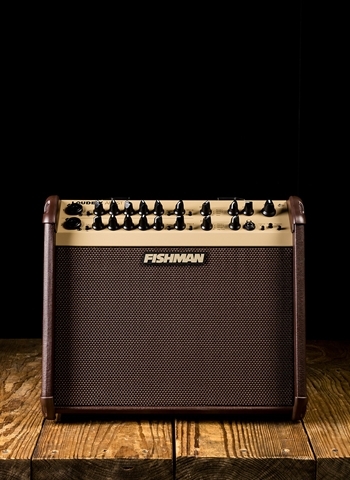 Acoustic guitar amps allow you to have your sound any gig you go without always needing to depend on the venue to have a PA and if they don't, forcing you to have to find a PA or a guitar amp. This way you can get the same consistent acoustic guitar sound amplified no matter where you are. Much applies the same to acoustic guitar amps as it does to electric guitar amps. 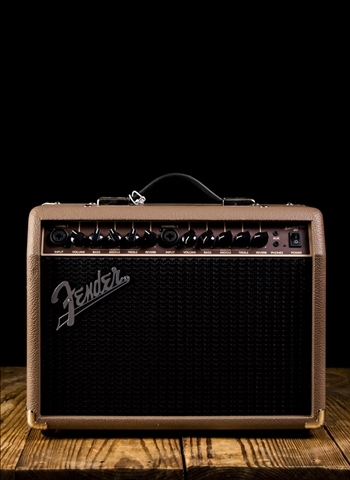 Lower wattage amps will be more appropriate volume-wise for home practice, rehearsals, and smaller gigs. 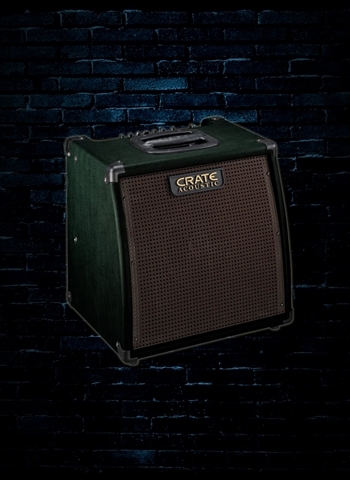 However, higher wattage is more suited for big gigs, stages, or playing with a full band. Higher wattage amps are almost always going to be bigger and heavier as well which is always another element to consider when selecting an amp. Amps will also provide opportunities for you to use built-in effects for your acoustic guitar as well as use the equalizer to finely shape the tone of your sound. 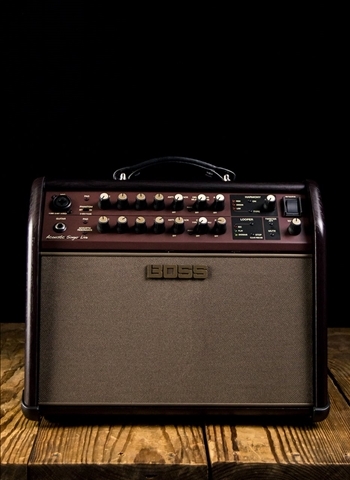 Many acoustic guitar amplifiers also come with a series of on-board digital effects to be used to color your tone. These effects are typically reverb, delay, chorus, and possibly a flanger or phaser. This allows you take the already rich natural sound of an acoustic-electric guitar, run through an amplifier to be played at high volume, and then enhance the naturally resonant sound of your acoustic-electric with these effects. Some acoustic guitar amplifiers will even have multiple channels in which you can also run a microphone into so you can have your entire live rig in one package! Coffee houses love having live music. So take an acoustic amp with multiple channels including one with an XLR input, and using your acoustic-electric with your favorite mic you can have a great guitar sound with a quality vocal sound all coming through your amp. Thus, you have created the acoustic atmosphere that patrons of coffee shops love. 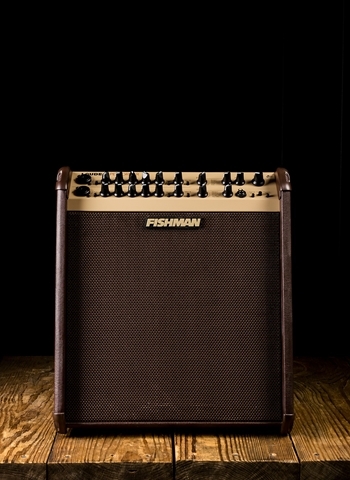 Check out our selection of acoustic guitar amps at N Stuff Music to find the right one for you. 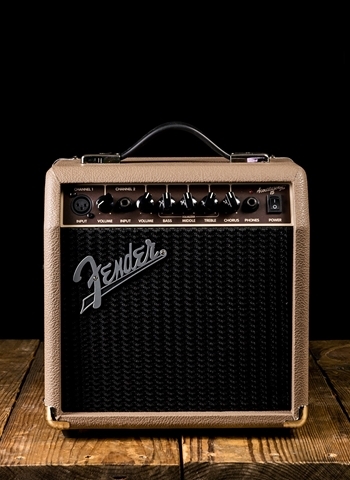 We have a variety to select from and our sales staff is always eager to take any questions you have to point you in the right direction and help narrow your search for an acoustic guitar amp. For acoustic guitar amp or any guitar amp needs contact us here at N Stuff Music via our online chat, email, or visit our store's location. Thank you for visiting our website and for shopping at N Stuff Music!